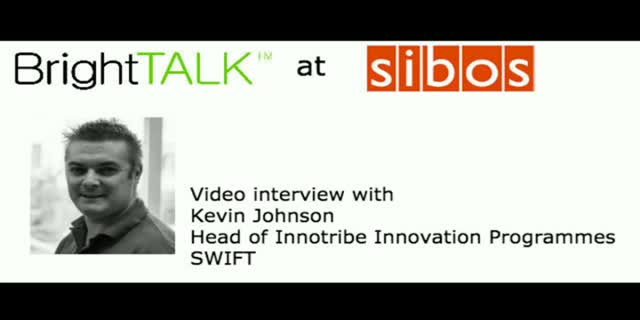 Listen to our interview at Sibos with Kevin Johnson, Head of Innotribe Innovation Programmes at SWIFT. Kevin will talk a bit about the Sibos event in Geneva this year as well as the FinTech trends he sees in 2016 that are different from previous years. Kevin will also explain the thinking behind the global federation of FinTech hubs, an initiative in partnership with Innovate Finance. Join Louise Beaumont and a panel of experts at 2pm BST/3pm CEST on the 18th April for a critical assessment of Open Banking one month after mandatory implementation of version 3.1. How are the Banks doing? We'll debate Compliance, Availability, Performance, Adoption and, crucially, Impact. On the panel are Chris Michael, founder of Ozone and Head of Technology for Open Banking, and Joao Martins, CTO of Yapily. Loyalty programs are nothing new, but opportunities to leverage them at the in-store and online checkout are. Innovations in payments and banking have ushered in the beginnings of the "open economy" and are bringing exciting new technologies to the market that will change the future of consumer engagement. Ty Tyree (FIS) and Bruce Parker (Modo) speak with Eric Grover (Intrepid Ventures) on the work they're doing in the payments and loyalty space, and what opportunities they see in the market. Join in to learn: Who are the major players in the "open economy"?, What are disruptors in the loyalty space doing (both banks, merchants, and payments players)?, What are new ways in which you can engage your end consumers to establish true brand loyalty?, What is the "open economy", and how are we going to see that playing out in the next 5 years?, and What is required in order to continue the "open economy"? What determines how people pay for their goods and services? How might using cash instead of a debit card reflect your personality? Are you a utilitarian or hedonistic shopper? This webinar looks at how the way people behave could affect their choice of payment. Dr. Anne Lewis argues that an economic model is not enough to fully predict future consumer payment habits, and social factors have an important influence on whether people reach for notes or cards. The cashless society has been talked about for decades and with the increased use of digital payments some believe it’s closer than ever. Despite this cash remains a popular method of payment for consumers and businesses, and is forecast to continue to play an important role in the payments landscape for years to come. The presentation will provide an overview of the Canadian Anti-Fraud Centre, highlight trends in Mass Marketing Fraud and current scams, and discuss alternative measures to disrupting fraudulent operation through public/private partnership. Sufficient AML and KYC processes are critical in ensuring banks and FIs can not only protect themselves from being unknowingly involved in financial crime, but they are also integral in having a better understanding of their customers and providing them with a better experience. -How can organisations improve existing AML/KYC requirements? -Which new technologies can help detect and prevent fraud and ensure FIs stay compliant? -What are the key compliance issues for the Financial Services industry? -How can organisations track financial crime with AI? -How to better handle performing client due diligence on an ongoing basis? -What are the challenges of the traditional AML/KYC procedures? -What can we expect from the AML Directive that comes into force in June of this year? -What are the common mistakes FIs make when managing their data? -How can Machine Learning and automation help? Legislation is placing an increasing burden on the financial services industry both to know its customers and to minimise personal data held. How do providers resolve that apparent contradiction and ensure that their accounts are safe, both for consumers and businesses? What are the key approaches and how can financial service providers keep up with the rate of technological progress and criminals? As customers turn to digital channels more and more for their financial services, building a trustworthy foundation for authentication and an ongoing digital relationship with a customer that has never been more important. Complicating matters, traditional ways of identifying their customers like KBA or in branch visits are no longer secure or convenient enough, how can financial institutions balance the needs of their customer versus their compliance department? How to balance the competing needs of compliance, customer friendly user experience and cost efficiency in your verification and authentication. How the identity verification process can make or break your digital customer relationship and provides the foundation for authentication. Learn about the Identity and Data Protection solutions for enterprise security organizations can take a data-centric approach to their security posture. Learn about the guidance and standards from FFIEC, PCI DSS, ISO and NIST. Learn about the new API Economy and eCommerce trends and how to control sensitive data — both on-premises, and in public and private clouds. The Strong Customer Authentication (SCA) requirements under the PSD2 come into effect this September, but are payment service providers ready? PSD2 doesn’t have to be post-apocalyptic, but it is going to bring about major changes, especially in the financial sector. Consumers are increasingly sensitive to any added friction and are voting with their feet. An estimated 70% of consumers abandon online forms due to a poor experience. So the question is, how do you balance risk and compliance without compromising the customer experience? The winners post-PSD2 will be those that are able to collaborate closely with merchants to maximize SCA exemptions and minimize friction for those transactions subject to SCA. Data breaches have risen 480% within Financial Services firms in the UK. With the Financial Services industry being plagued by constant risks and regular threats, professionals need to be at the top of their game to thwart criminals. -What is the current state of Financial Services security? -How can organisations prevent and detect threats? -What are the key questions FIs should be asking their security teams? -Are new regulations doing enough to keep FIs and their customers safe? Find out what's trending in BrightTALK's FinTech and Financial Services community and which emerging trends and technologies are keeping professionals from both incumbent financial institutions and challengers up at night. -How can Financial Services and FinTech companies build communities around their brand and create engaging thought leadership content?